Anyone else watching this on SyFy? Some episodes are really good and some not so much. I always did enjoy watching it though. Last edited by Starman2112; 01/01/18 05:08 PM. I am catching an episode here and there. I really enjoy this series, fun to see actors working tv before they became big stars. Yeah, it�s amazing how many actors were in this series before they became well known. Going to pass this year. 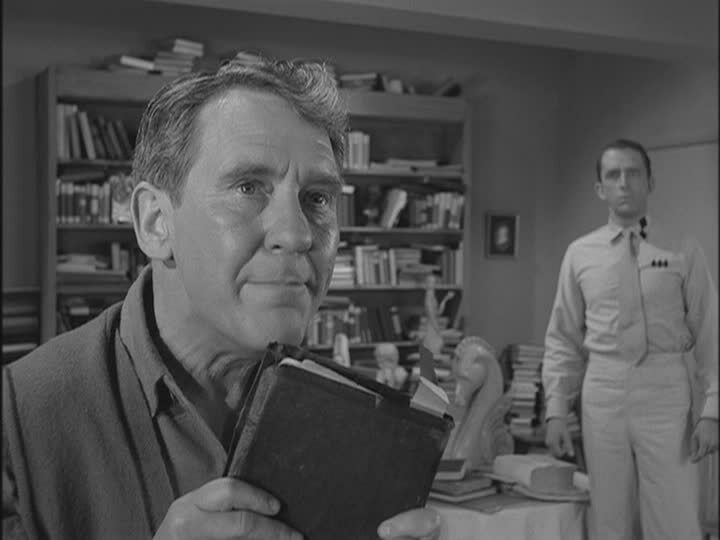 I like TZ so much I think I have seen every episode several times. I am tuning in to it again this year. I think I saw them all then I see one I never saw. I love the twilight zone! Had it on all day. Till my wife sees it and changes the channel. My name is talking tina,and i am going to kill you! One of my favorites and is on now. I love the episodes with Burgess Meredith. A true actor! Obsolete man is my favorite. Last edited by spasm3; 01/01/18 09:51 PM. I started watching 4-5 Twilight Zone Episodes during that Marathon, then found out Amazon Prime in my Roku Player has all the Sopranos Episodes. Watching Season-1 now and it's so much more entertaining than those Twilight Zone reruns. Gonna' take me a while to see all 7-8 seasons of Sopranos thou. Maybe up-to a year, since I don't watch much TV anymore.